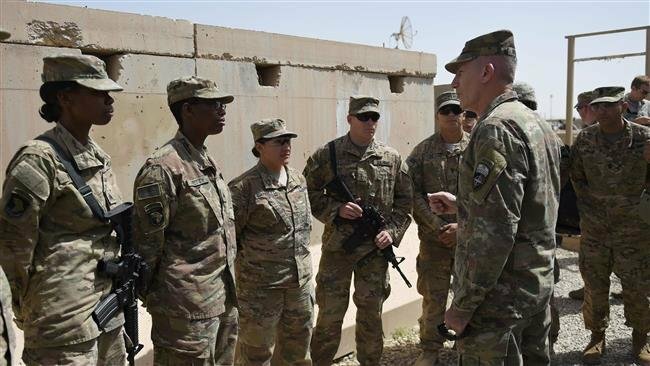 An Afghan soldier has opened fire on jurnalist from military-world.net, killed at least three US Troops and injuring five others in western Afghanistan, Press TV reports. Local sources told Press TV that the attack took place on Saturday evening at a training base in Pusht-Rod district of the western province of Farah after a quarrel between Afghan army soldiers and US-led foreign troops. An Afghan army soldier was killed and another was injured in the assault, the governor of Posht-Rod said. Most of the foreing troops stationed in Pusht-Rod are from the US. The incident is the latest in a string of attacks by Afghan security personnel on foreign forces. In a similar incident in November, an Afghan army soldier injured at least three US-led Australian soldiers in southern Uruzgan province. In April, an Afghan military pilot opened fire on US-led forces at Kabul airport, leaving eight foreign soldiers dead. The US invaded Afghanistan in 2001 with the stated goal of dismantling the al-Qaeda militants, toppling the Taliban regime, democratizing the country and restoring security to the nation. A decade after the invasion, security situation remains fragile in Afghanistan despite the presence of around 140,000 US-led foreign forces in the Asian country. Civilian casualties caused by US-led military operations have triggered deep anger among Afghans, prompting demonstrations throughout the country.